Welcome back to school! After a nice winter break and an extra day off due to cold temperature, I am ready to get back in the school routine! We are easing back in with a fun and high-success project with the fifth graders, inspired by one of my many pinterest pins. 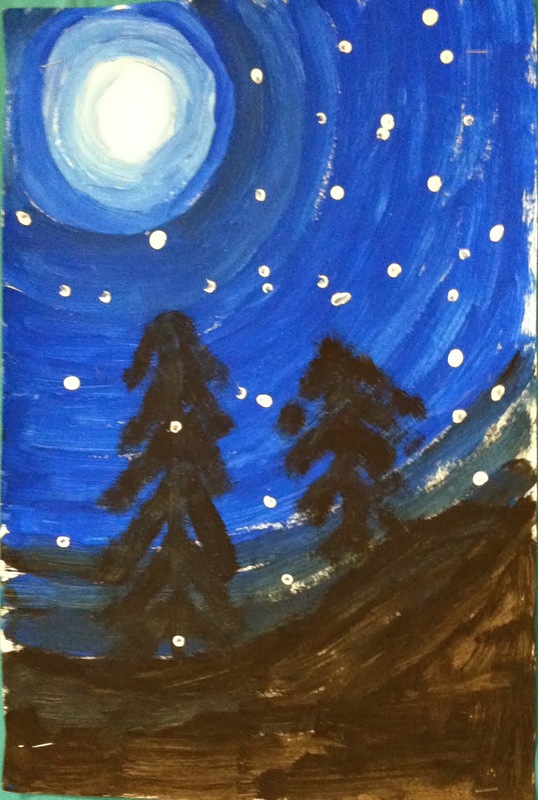 We discussed value, the darkness or lightness of a color. We looked at how there can be many values of the same color. Blue is blue. But it is also navy, baby blue, sky blue, royal blue, etc. We can change the value by adding black or white to a color. Adding white creates a tint. Adding black creates a shade. 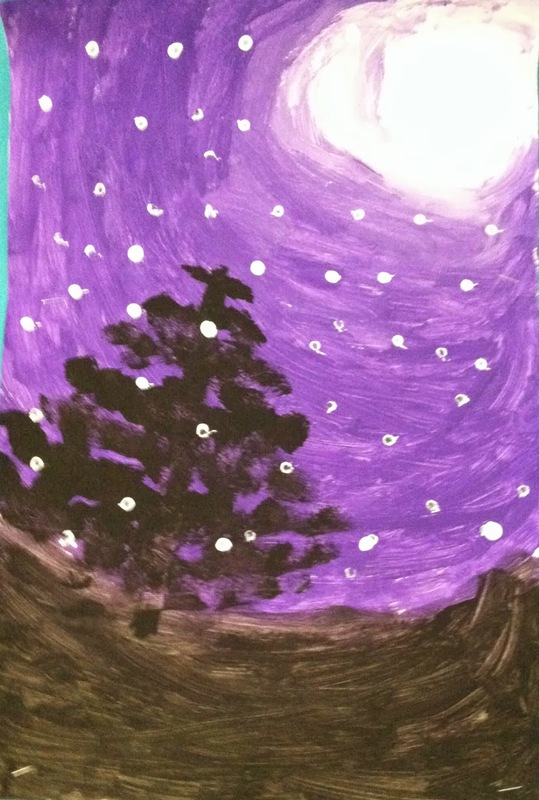 We used tints and shades of a single color to create a quiet moon lit landscape. 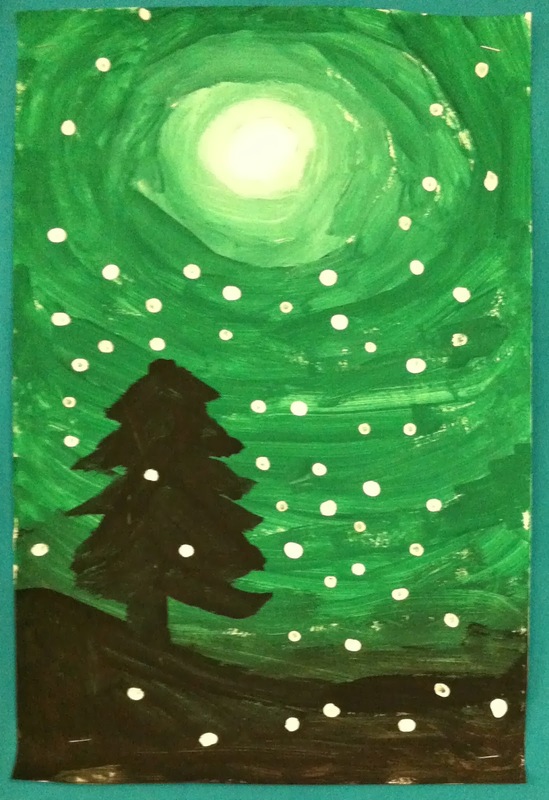 We used black to create a silhouette of evergreen trees, and finally stamped on some snow for a little drama. They all turned out so fantastic! 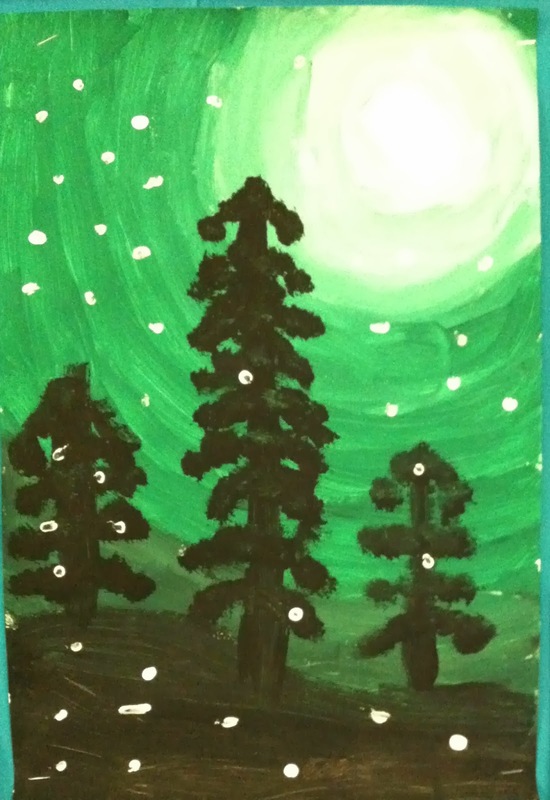 I love projects that get "oohs and ahhs" from hard-to-impress fifth graders! They look stunning in our hallway, but I'll also be happy when the weather warms up and we can break out the spring projects.